client. We are able to organize everything, from local transfers to large events. 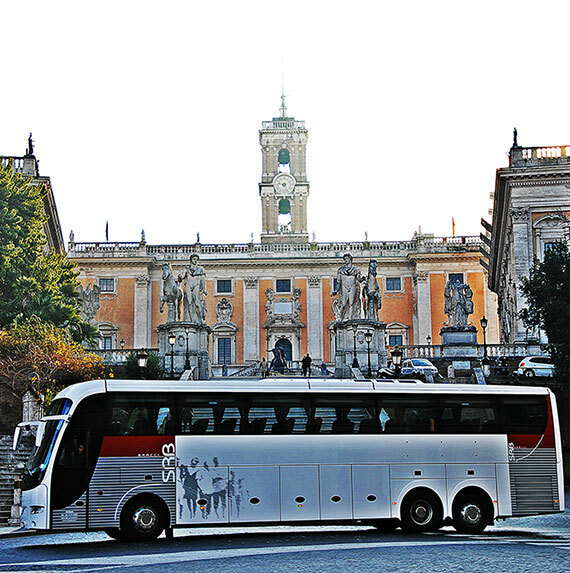 One of our successful large events involved 36,000 passengers and 1, 170 buses in 4 days. Our involvement in the events planning and management industry allows us to provide the transportation for important occasions. We have developed a strong network of partnerships in order to guarantee our clients the highest competence professionalism and quality of service. We count among our customers large companies and institutions, ministries, municipalities, schools, sports clubs, film production companies, and tour operators specializing in cultural, religious, congressional and cruise tourism.